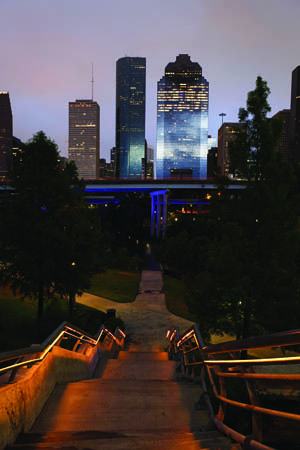 Rich in diversity and resources, Houston attracts people from all over the world who come to the city to work and study. Success in local business or the global marketplace depends on the ability to navigate the dynamic multicultural terrain. An exciting collaboration between the Honors College and the C.T. Bauer College of Business, the Global Studies Certificate Program examines the changes taking place here in Houston and around the world. The program finds a natural home in the Honors College because of its interdisciplinary focus, which incorporates fields as diverse as history, economics, sociology, literature, and business. The certificate is open to students of any major and is earned through 12 hours of coursework or study abroad, plus the capstone course. Studies abroad are essential to developing a global perspective and acquiring a foreign language—both assets in today’s business world. The Certificate in Global Studies and Research is ideal for students who are seeking minors with an international dimension. Both the Global Studies program and the Honors College offer faculty-led study abroad programs each summer. Recent trips have introduced students to Italy, Spain, Ireland, India, the Czech Republic, Austria, and Hungary. To encourage students to study abroad, the program offers credit toward the certificate to students who take study abroad trips or courses at foreign universities. Global Studies offers six hours of core international business courses that students may use toward the certificate. Other major or minor coursework with a global or international focus may also form the foundation work for the certificate. The required capstone course, HON 4375, offers students the opportunity to grow into confident independent thinkers and critical global citizens. Taken near the conclusion of a student’s undergraduate career, the course encourages students to think critically about the reality of globalization, its effects, and its influence on our present and future world. Students read across the social sciences and become experts in a sub-field of globalization—from politics to popular culture. Students working toward the Global Studies certificate are encouraged to develop their research toward the completion of a senior honors thesis. Students conducting independent research may also qualify for SURF (fellowships) and PURS (scholarships). For more information on the Certificate in Global Studies and Research, contact: Keri Myrick, Director, Office of Global Engagement and Special Programs, at ogesp@uh.edu or 713.743.1012.